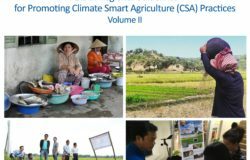 The ASEAN-CRN Knowledge Exchange Event on Effective Use of Climate Information Services (CIS) for Agriculture in ASEAN was conducted on 21–23 March 2017 in Lapu-Lapu City, Cebu, Philippines. 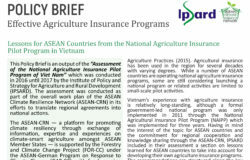 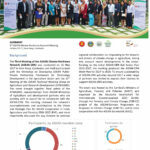 The event brought together ASEAN Ministries of Agriculture, Ministries of Environment, National Meteorological and Hydrological Institutes (NMH) of ASEAN Member States (AMS), development partners, academe and civil society organizations involved in the generation and provision of CIS in the agriculture sector. 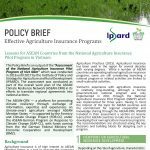 Participants shared their experiences on the provision of CIS in their respective countries and generate actionable learnings and ideas for regional collaboration. 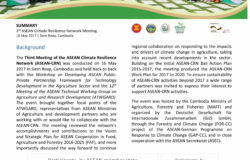 The event was organized by Deutsche Gesellschaft für Internationale Zusammenarbeit (GIZ) GmbH, through the Forestry and Climate Change (FORCC) project of the ASEAN-German Programme on Response to Climate Change (GAP-CC), with support from the Food and Agriculture Office (FAO) of the United Nations, and the United Nations Development Programme (UNDP) under the Integrating Agriculture into NAPs’ Programme. 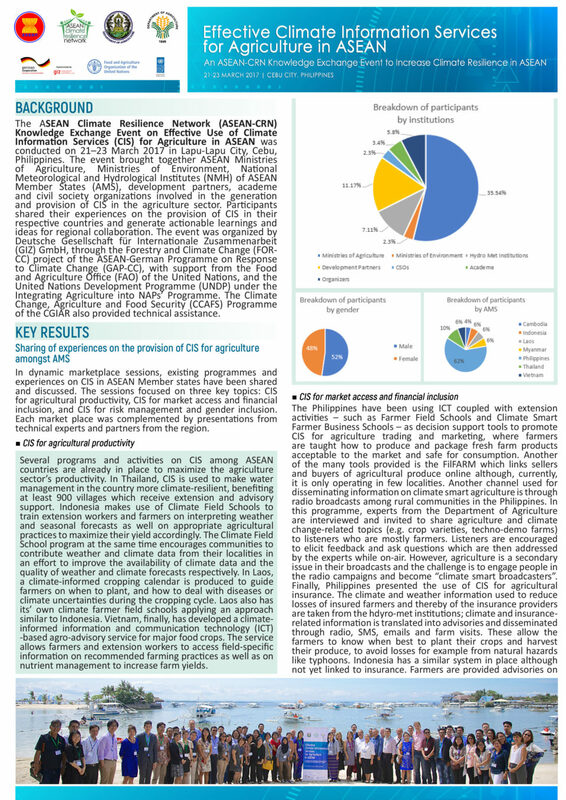 The Climate Change, Agriculture and Food Security (CCAFS) Programme of the CGIAR also provided technical assistance.